New volunteers are always more than welcome, we rely on our team of volunteers to allow the group run! 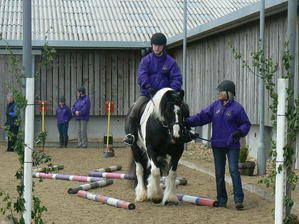 Lincolnshire Wolds RDA needs volunteers who can give some time to help disabled children and adults enjoy the benefits of horse riding and carriage driving. The group rides on a Tuesday and Wednesday evening at the LRAC (Kenwick), starting at 4.30pm until 7.30pm (don't worry - we do stop for a drink and a biscuit in the middle). The carriage driving group is also held at LRAC (Kenwick) from 9am to midday on a Wednesday. 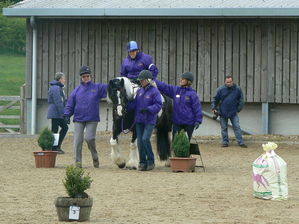 Lead horses/ponies - Walk beside riders, helping them achieve their goals. Help with Fund Raising and Events. Help on the yard, ride desk and break room. We also would love support for our Halfway House at Kenwick Park Golf Club in the form of home baking and any donations of prizes for our popular tombola, that we take to local events.